We’ve all done it. Swooped straight into the office and thrown ourselves into a tornado of emails, work and meetings right until sunset. Being relentlessly busy without treating yourself to micro breaks can snowball into burnout. Here’s how five minutes away from your desk can benefit your productivity. Breathe: Inhale, exhale, repeat. While this is something you subconsciously do all day – we mean really breathe. The stress and pressure of work can cause you to unknowingly take short, fast-paced breaths which puts your body into a state of low-key anxiety. 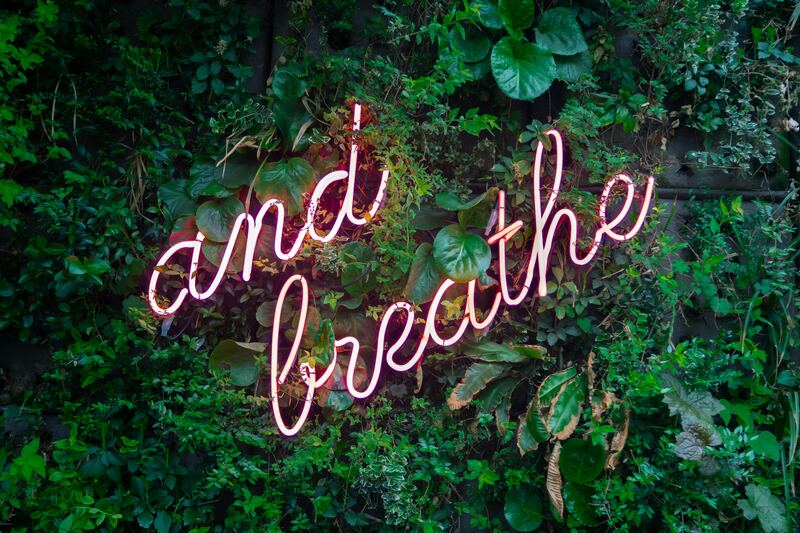 Be mindful of your breathing pattern and punctuate whatever you’re doing with regular deep, indulgent breaths. Drink more water than coffee: Caffeine can fling you into a whirlwind of manic energy but also take a serious toll on your mood. If you feel like you’re being gobbled up by stress, take a deep swig of water. Just like breathing, it’s crucial to weave hydration into your schedule. Don’t share your lunch with your computer: It’s all too common to eat a hurried lunch while hunched over your computer. If sudden stomach cramps haunt your late afternoons, you know what to blame them on. If you’ve got a break room, eat your lunch there, analog style. Eat without digital distraction and focus on the food in front of you or make it a lunch date with a colleague. Connect with the people around you: Bite-sized conversations with your colleagues can be wonderfully relaxing. Catching up on weekend plans or learning about your colleague’s secret hobby is a great way to connect. Conversations don’t always have to solely revolve around work at the workplace. From team lunches to office antics, #teamSOCIATE is one of our core values for a reason.